NASHVILLE, Tenn. – Nov. 13, 2018 – Dawn F. Eaton has been named Chief Executive Officer of Susan G. Komen Central Tennessee. Susan G. Komen® is the world’s largest breast cancer organization, funding more breast cancer research than any other nonprofit outside the federal government. Eaton began work in October. “After an extensive search, we were extremely pleased that Dawn accepted our offer, because she is exactly the right leader at the right time for Komen Central Tennessee,” said Haden McWhorter, Susan G. Komen Central Tennessee Board President. “Dawn’s professionalism, past experience and leadership in nonprofit growth make her ideally suited for this key position. Nationally, we have a bold goal of reducing breast cancer deaths by 50 percent by 2026. That translates to even more work that we have to do to grow our region’s community participation to help get this job done. With the exp ansion of our affiliate’s geographic area almost a year ago, we are ready to provide more screening, education, treatment and psychosocial support programs to women, men and families in 41 counties in Tennessee and north Georgia. Our fundraising also contributes significantly to breast cancer research, and Komen is second in the country only to the federal government in research funding.” McWhorter has a personal interest in fighting breast cancer, having lost his mother and wife to the disease. 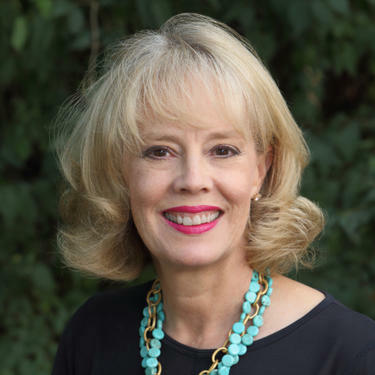 Eaton, who has lived in Tennessee since childhood, has worked throughout middle Tennessee as a nonprofit executive, corporate leader and entrepreneur since 1980. After earning a Bachelor’s of Science from Middle Tennessee State University, Eaton worked in juvenile justice before becoming the first Executive Director of the Main Street program in Murfreesboro and Rutherford County. In that position, she established and led Murfreesboro’s downtown revitalization program for seven years before joining Bob Parks Realty as Director of Marketing and Relocation. Eaton has also worked as a successful entrepreneur in marketing and as the owner of a retail store. In 2008, Eaton was named CEO of The Family Center, a nonprofit working to prevent child abuse and neglect, a position she held for nearly eight years. During her tenure at The Family Center, Eaton increased the organization’s budget from $600K to $1.1 million, increased net assets by 64 percent and restructured programming and client outreach, which tripled the number of clients served. Eaton currently is a member of the Economic Club of Nashville and currently serves as Secretary to the Board of Directors. From 2014 to 2016, she was a member of the CEO Advisory Board of the Center for Nonprofit Management. Eaton also was a member of the Brentwood Academy Advisory Ambassador Board of Directors from 2009 to 2011 and a member of Nashville CABLE from 2008 to 2017. Eaton has been a volunteer and member of The Village Chapel Worship Service since 2009. Earlier in her career, Eaton was a member of the Rutherford County Chamber of Commerce Board of Directors; a member of the Middle Tennessee State University National Alumni Association Board of Directors, serving as President in 1994 and Past President in 1995; and a member of MTSU’s Miller Trust Planning Committee from 1994 to 1997. Eaton has been recognized throughout her career for her leadership, including Finalist for the Memorial Foundation Leadership Award for the Center for Nonprofit Management’s Salute to Excellence in 2015. Earlier in her career, she received the Rutherford County Trailblazer Award as Outstanding Business Professional. She is a graduate of Tennessee Leadership and Leadership Rutherford, and has received a number of awards from the GENESIS Relocation Network as a top 50 Producer including a national GENESIS Incoming Referral Conversion Award.